Mix and match classes to challenge new muscles and stay motivated while building stamina, strength, and energy. We make keeping fit fun! 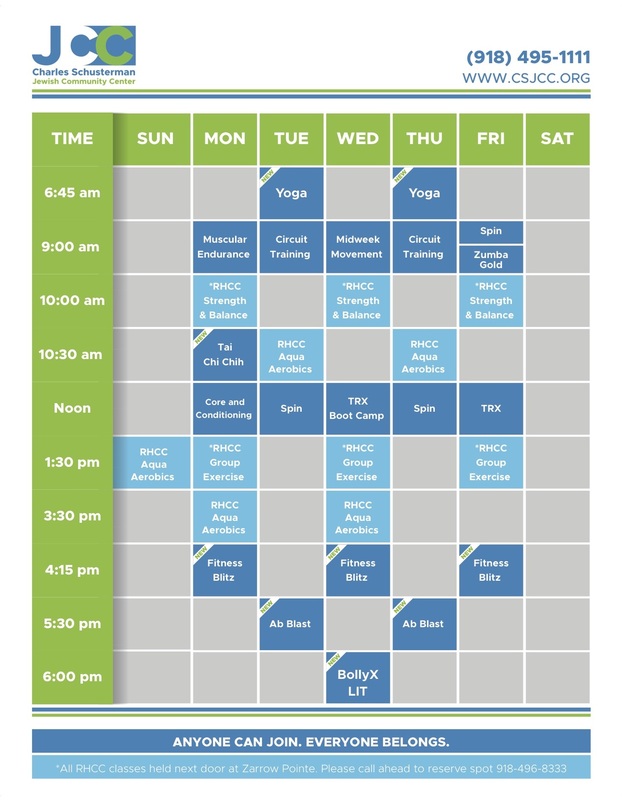 Classes include: spinning; TRX; water aerobics; martial arts; circuit training; boot camp; cardio kickboxing; and many more! 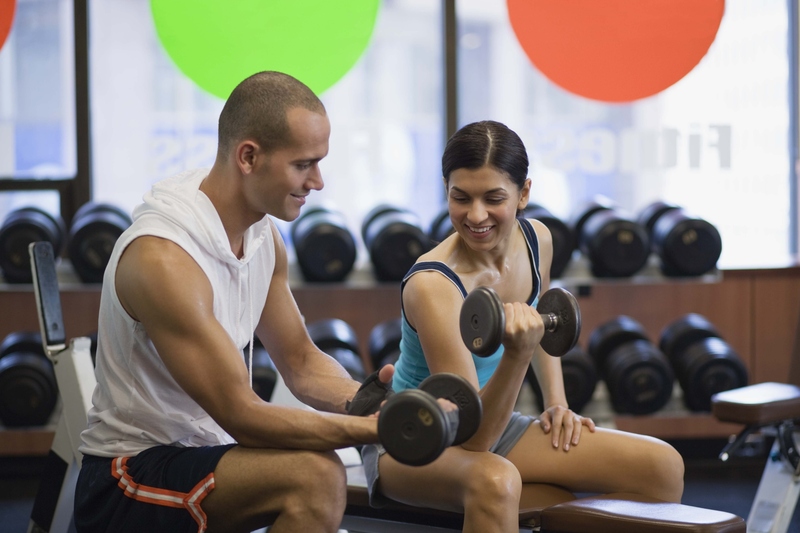 Our qualified staff maintains certification in personal training and massage therapy. Our Personal Trainers can help you launch and sustain a smart exercise program, help move you beyond a stubborn plateau, break out of a fitness rut or simply re-energize your workout! AQUA AEROBICS is an invigorating fitness activity. Exercising in water provides a safe, enjoyable challenge for people of all ages, fitness levels and abilities. Water aerobics incorporates a combination of rhythmic arm and leg actions performed in a vertical position in shallow- water. This class involves vigorous limb movements against the water’s resistance, resulting in increased muscular strength and cardiovascular fitness. MUSCULAR ENDURANCE is the ability to resit fatigue and to continue to exercise over a prolonged period of time. The class begins with a quick stretch session, moves into continual free weight exercises designed to work all muscle groups used in day to day activities. The class has some lower body work at the ballet bars and finishes with a stretching session. TRX CORE AND CONDITIONING is a challenging class that will push your physical endurance and mental power. Be prepared for a fun mix of exercises and movement patterns that will tighten, strengthen and shape your core! We will use our suspension training system (TRX) along with body exercises to improve your cardiovascular fitness, core strength and challenge your body. TRX: Using your body-weight as resistance. Joining the TRX class will help sculpt your body into the body you want to show off! We will be using a variety of equipment (kettlebells, dumbbells, medicine balls) in an intense 45 minute class. All fitness levels and ages are welcome to join. The instructor can scale and modify each exercise to fit and challenge each individual. CIRCUIT TRAINING is an efficient and effective way to get a full body workout at your own intensity level. A fun-filled hour of muscular conditioning and cardiovascular conditioning. This class is unique in that no one in the room will be doing the same exercise at the same time. Each participant will rotate through the stations in the 60 minute class. You will alternate between a cardio station and a strength station. SPIN is an indoor bike ride that is proven to achieve faster weight loss than any other indoor exercise. Your spinning instructor plans a ride terrain, and sets the ride to music. Aside from being great fun, you will get fitter faster than you ever believed possible. This spinning class last for about 45 minutes. CARDIO KICKBOXING is a class where you learn how to punch, kick and block through a fun and challenging cardio workout. This class provides both resistance training and cardiovascular benefits to it’s participants. TRX BOOTCAMP is approximately 45 minutes of high intensity exercises that will keep the heart rate up and challenge your muscles. This class utilizes strength exercises and cardiovascular activities. Intermediate to advanced. STRETCHING AND AEROBICS is a challenging workout that will prove to increase ease of movement throughout the rest of the day. This class will begin with a warm-up/stretch then move into a low-impact aerobic segment to make sure all muscles are warmed up and the body is totally prepared for what’s ahead. Please join us! BURN AND SCULPT This workout leads you though and effective series of cardio training to strengthen the heart and build physical endurance, along with muscle conditioning to sculpt and define your body. Each class applies muscle confusion to keep your mind and body on their toes creating a high calorie burn. This workout includes a balance segment and ends with a cool down and stretch. FITNESS MIX is a low impact class adaptable to every age and fitness level. This fat burning workout includes 3 segments: 1: Free weight strength training. 2: Basic aerobic mix with light weights. 3: Cool down stretch mix to decompress and lengthen the muscles. This class boosts metabolism, strengthens and tones the whole body and improves balance and coordination. Q: When did you first discover a passion for fitness? A: I played sports all through my youth and grew up in a very active and healthy family. I definitely prefer challenging & intense workouts!! Adding the TRX has been great for all who have participated in the classes. Q: What do you like most about working with members? A: Our members are the best! They come in all ages & fitness levels, so they keep me on my toes. Also, they are all very kind & have made my time here at the JCC quite enjoyable. Q: What’s your number one healthy diet/exercise tip? A: “Diet” has such a negative feeling… I prefer to encourage a healthy lifestyle. Avoid processed/packaged foods and keep moving! Q: How would you encourage someone to stay motivated? A: By stressing all the positives of healthy living… not focusing on “aesthetics” but on the medical benefits (lowers blood pressure, improves heart & lung function, prevents osteoporosis).